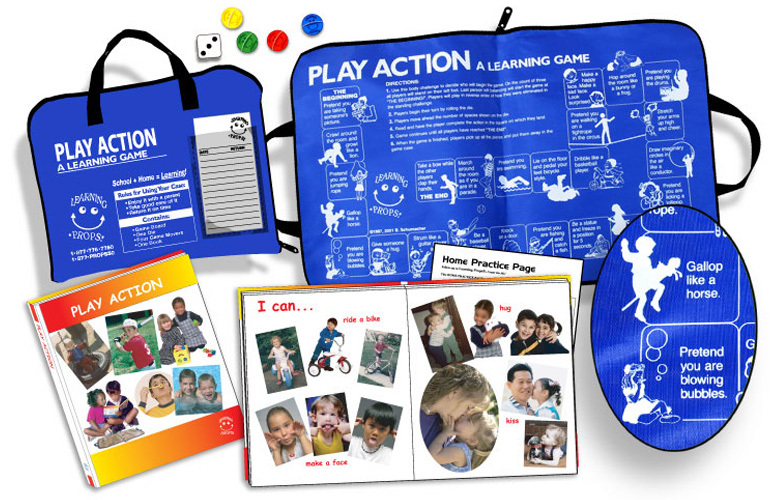 This educational game supports motor skills, movement and exercise, following directions, socialization, and imagination. Active participation is required to enjoy this game as players “Hop like a bunny or frog.” “Crawl and growl like a lion”…. Language skills can also be explored with “verbs” that command actions. These games are preschool activities that support concept and language skills. They are ideal for use as a classroom activity or as a family activity to “Make Learning Fun”.